Garriskil Bog is the best-preserved piece of a once huge raised bog system of river floodplain bogs which developed where the River Inny enters and leaves Lough Derravarragh, not too far from the town of Mullingar. Most of these bogs are now affected by human interference, with many of them industrially harvested or strip-mined, which makes Garriskill an exceptional and all-too-rare reminder of a once common landscape in this part of the country. 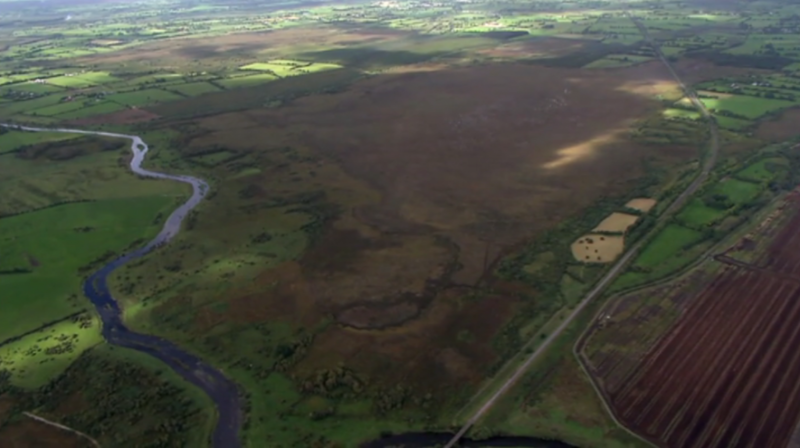 The bog was purchased by the Dept of Finance in 1989 alongside Ballykenny/Fisherstown Bog. At the time, they bought 203 hectares between the two sites, and also purchased 506 hectares of blanket bog at the Sally Gap. Speaking in Dail Éireann in 1990, then Finance Minister Albert Reynolds (who hailed from nearby Longford) said the government had a raised bog conservation target of 10,000 hectares. Right beside Garriskil Bog is the site of Inny Junction train station which, at one stage, was famously the only train station in Ireland and the entire British Isles not be serviced by a road! (this startling fact was once the subject of a question on TV’s ‘Mastermind’). With the nearest towns and villages a few miles away, it was literally in the middle of nowhere! The station was where the Sligo – Dublin line split into a Mullingar – Cavan branch. Much of the bog to the north is bordered Dublin-Sligo railway line, which used to be known locally as ‘the Principle Line’. If you’re ever on the train from Dublin to Sligo (or vice versa) today you can’t miss the bog. If heading towards Sligo, it is just a few miles outside Mullingar after you pass Lough Owel, and if heading to Dublin it is halfway between Edgeworthstown and Mullingar. As of late 2017, 20 passenger trains daily pass through the bog, bringing thousands of people from east to west and vice-versa. This makes Garriskil perhaps the most viewed bog in the country! The full extent of Garriskil Bog is visible from one side of the train, with turf cutting and harvesting on the other side. 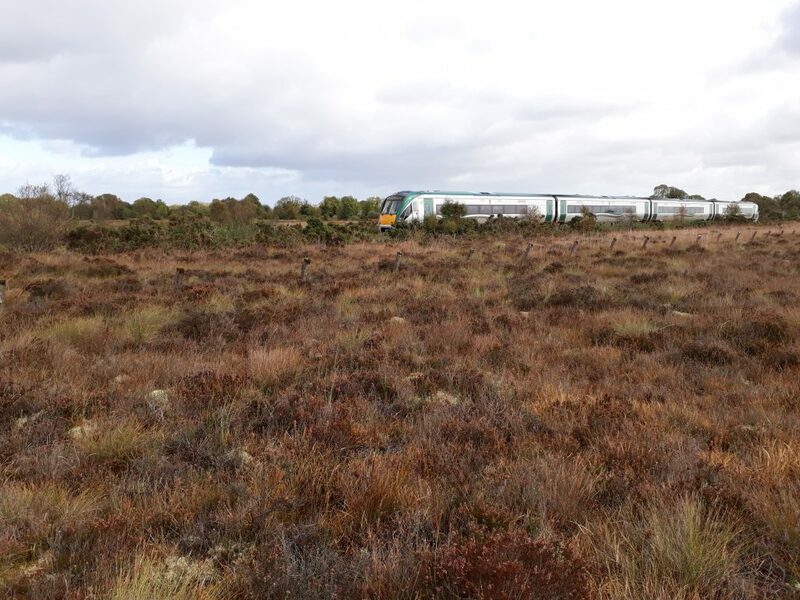 A Sligo-Dublin train cutting through Garriskil Bog SAC, just outside Mullingar. Photo by Living Bog ecologist John Derwin. In modern times, it is a view that has intrigued many a train passenger. In days gone by, the sight of the bog meant a stop, sometimes a changeover, but always a chance to breathe in air that was just different to the air elsewhere – a combination of the bog and the lake made this part of the world special. With three lakes in the vicinity of the bog, there was something magical and misty about this part of the midlands. Long before the car became the preferred mode of transport and when emigration was rife, the Inny Junction a place where many midlanders took their last breath of healthy midlands air, and their last long look at a midlands bog. The station was built by the famous Irish railway engineer William Dargan as part of the extension of the Midland Great Western Railway from Mullingar to Longford in 1855 and opened a year later. 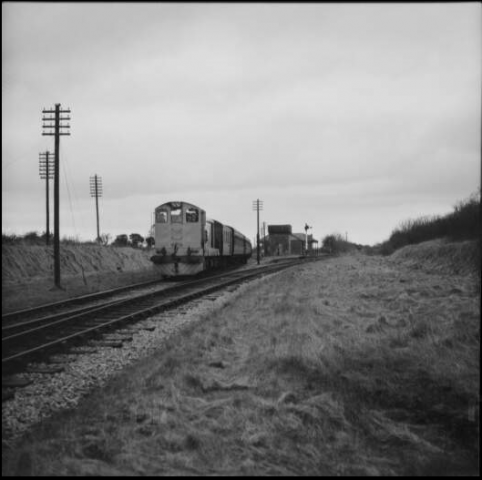 It served people not just from the nearby Streete area, but provided rail connections for many rail users to Longford, Sligo, Mullingar, Dublin and Cavan through to Belfast. The branch ran along an ‘island’ of mineral soil that spiked through sparse bogland country to connect with the Great Northern at Cavan giving an inland, midlands link to Belfast and the six counties. Traffic levels became limited and it is recorded by rail enthusiasts (including www.eiretrains.com) that the station was closed by the Great Southern Railway in 1931. 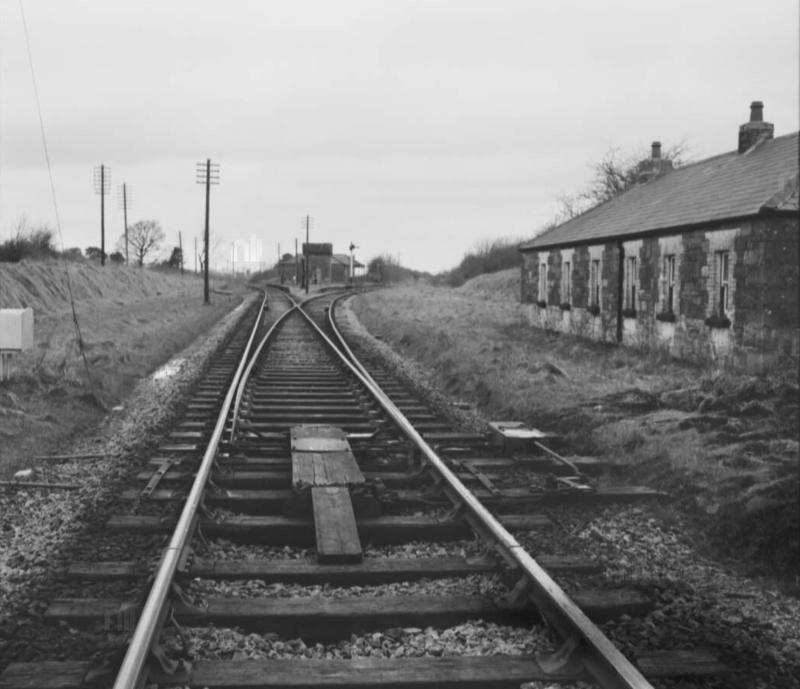 From then on junction was remotely controlled from Multyfarnham signal cabin further south. The Cavan line lost its passenger services in 1947 and the GNR closed the Cavan link in 1957. The line remained in use until 1960, when it was finally closed to goods. It was later taken up, and the station dismantled. The last train to run there trundled along in late 1960, and was captured by photographers and a TV crew. Local rumours would have it that Michael Collins often used this line when on the run during the War of Independence to visit his girlfriend Kitty Kiernan in Granard, preferring to head deep into rural Longford through rural Westmeath instead of a more direct route via Longford. It is a place which has popped up in literature. In the book ‘Adlestrop Revisited’ by Anne Harvey, the famous English poem ‘Adlestrop’ by Edward Thomas is investigated in full, and the Inny Junction crops up when the author talks about great Irish train journeys written about by Bradshaw in 1885. 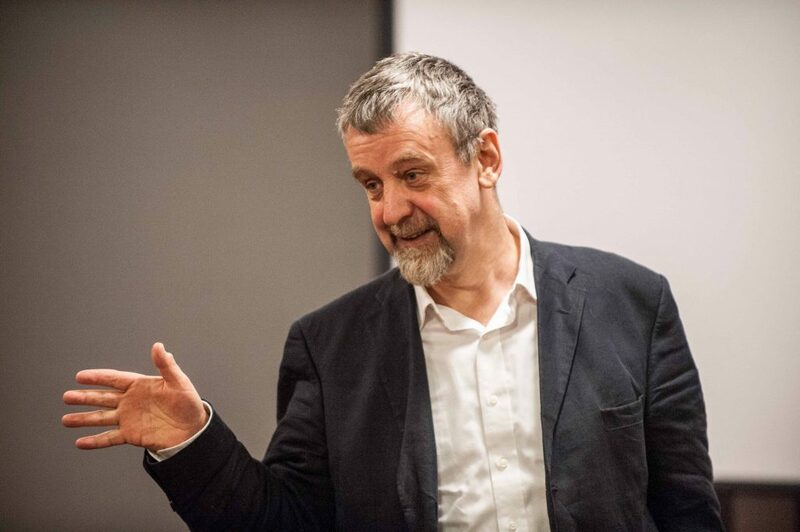 The noted Irish writer and playwright Michael Harding also referred to Inny Junction in his works. In a moving column ‘The perfect summers of my mother’s life’ in the Irish Times in 2012 he wrote about his mother, who was in a nursing home in Mullingar at the time. 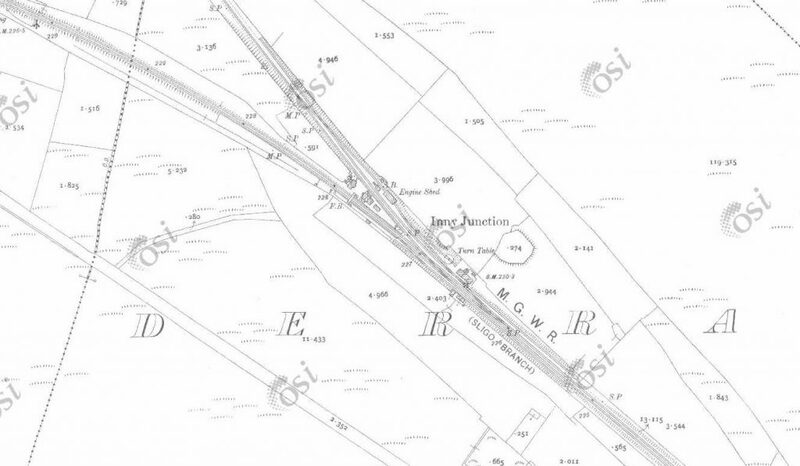 There isn’t much left of Inny Junction station today, although the formation of the former junction can still be clearly seen beside the bog, and the path the Cavan line took is evident at a level crossing on the line, with wasteground where buildings once stood. The line itself is still mapped out thanks to localised tree growth over the past 50/60 years, though sleepers, rails etc are long gone. Also gone is any trace of the station building, bar the ruins of one supporting wall. The platform was the last thing to go, taken up in the early 2000’s and replaced by a wooden fence. Some platform slabs remain today, hidden among vegetation growing behind the wooden fence. Inny Junction Train Station, Summer 2017. Nothing remains, but a few blocks among the vegetation to the right of frame. A little further up the old Cavan line is the remains of Float Station. The name here was derived from a barge crossing two miles east on the River Inny. 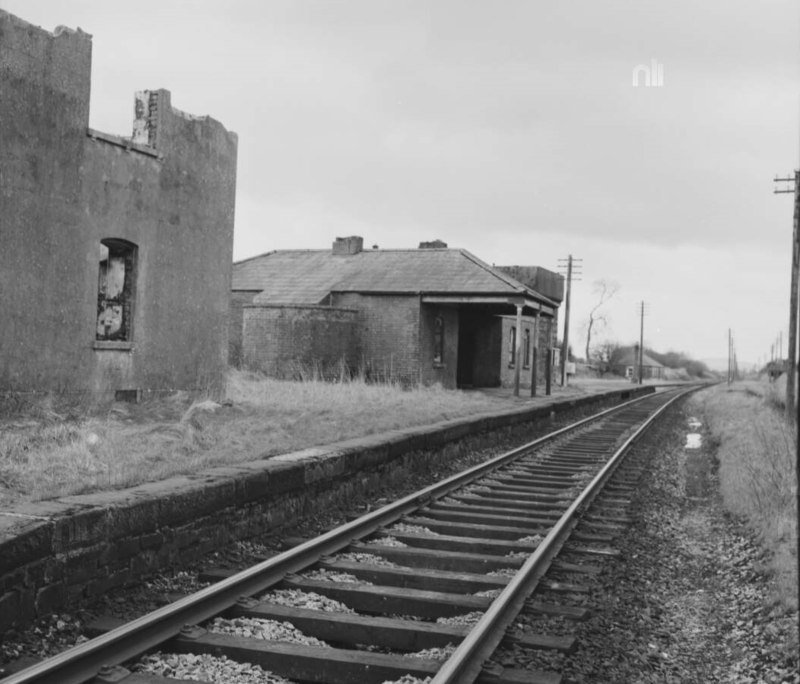 The Float station was part of the 26 mile Cavan branch that left the MGWR Mullingar – Sligo mainline and was located near Lismacaffrey. The appealing small-scale railway station forms the centrepiece of an interesting collection of railway-related structures, including the platforms and the remains of goods sheds. There is no trace of the line until you get a few miles away from the bog, at Lismacaffry (on the R395 between Lisryan and Coole). 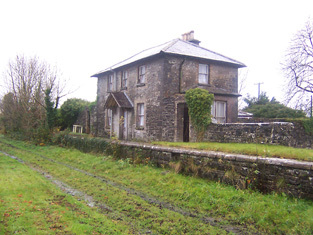 The Earl of Granard, George Forbes, had a small private station built near his home, Clonhugh House where he enjoyed the luxury of having trains stop on request. It closed in 1947 but the platform and station house, now a private residence, are still there. 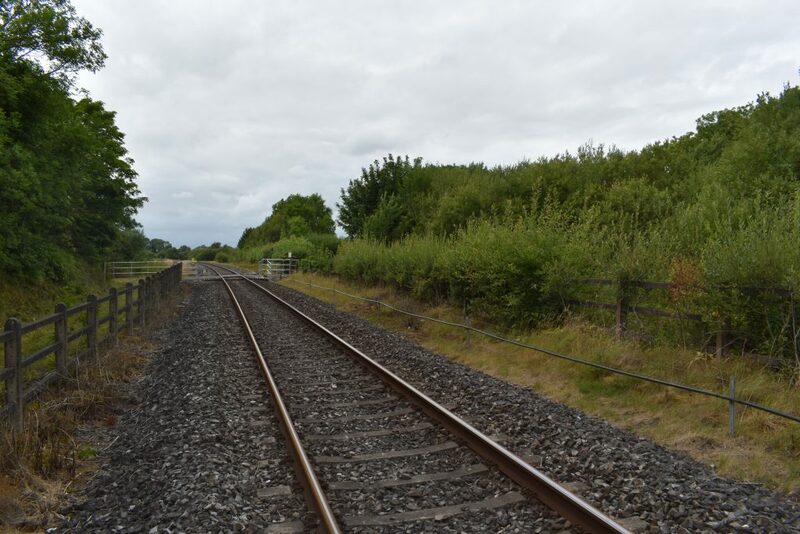 The Inny Junction story forms part of the industrial heritage of Westmeath and is an interesting historical reminder of great age of railway construction during the mid-to-late nineteenth-century. 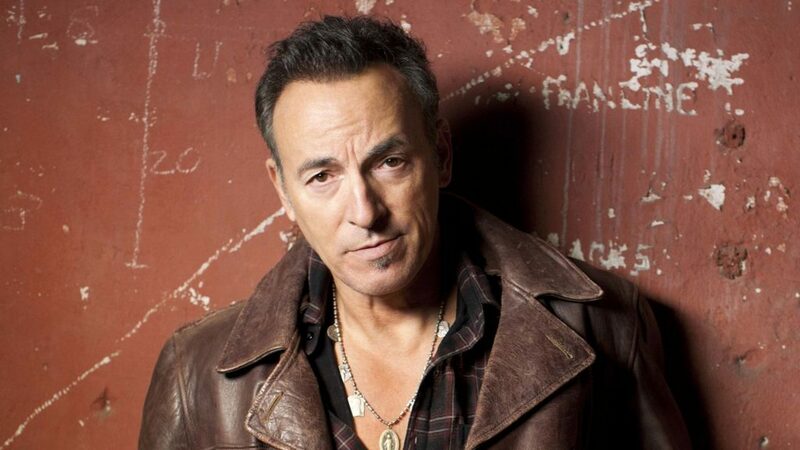 BRUCE SPRINGSTEEN – IS THE BOSS A BOGMAN? 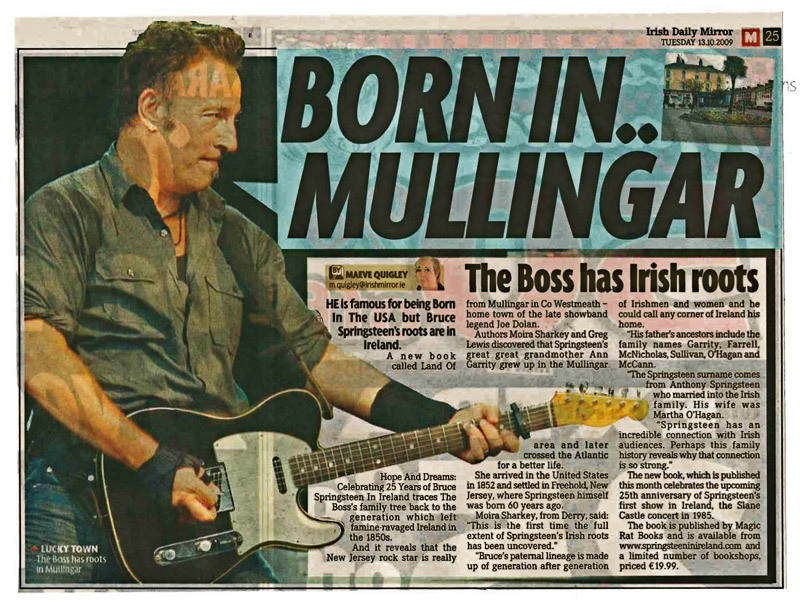 Is there a bit of ‘The Bog’ in ‘The Boss’? 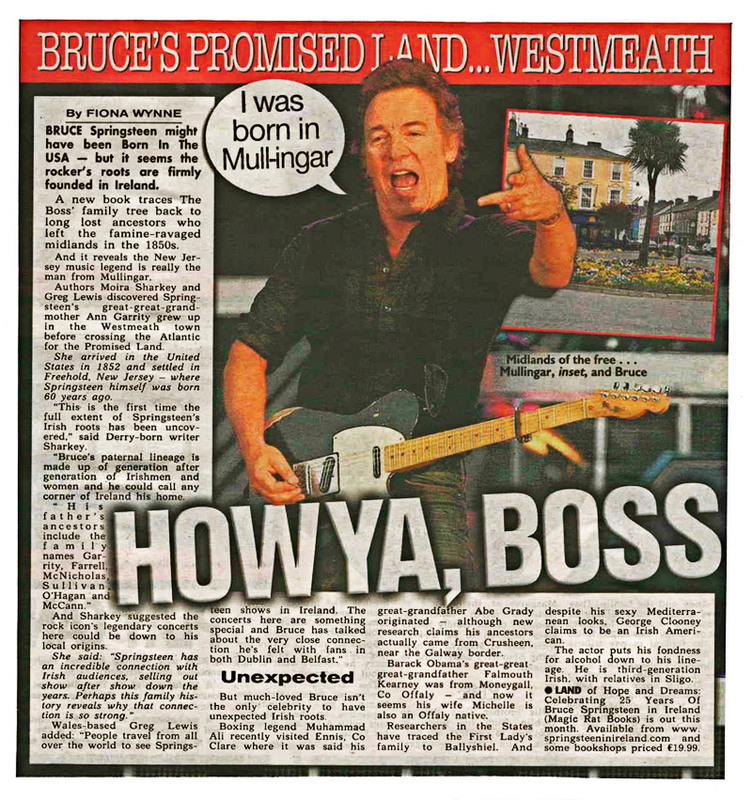 According to the authors of the book ‘Land of Hope and Dreams: Celebrating 25 Years of Bruce Springsteen in Ireland’ the entertainer Bruce Springsteen, aka ‘The Boss’, can be traced to the Westmeath village of Rathowen where the legendary rocker’s ancestor Ann Garrity (American spelling of Geraty or Geraghty) was baptised. 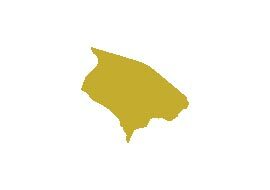 Land records show the family cut turf in the area. 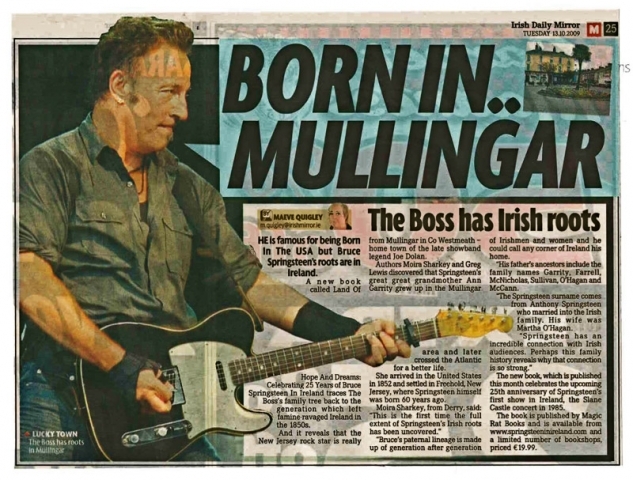 Later records show that she moved down the road to live in Mullingar before emigrating to America during the famine years and made her home on Leopold Street in New Jersey where her superstar great, great grandson was born some 70 years later. Writers Moira Sharkey and Greg Lewis found American records which showed that Ann Garrity’s occupation was given as ‘washer woman’, but is unknown what she did before she left Mullingar. Moira Sharkey was able to trace Ann to Rathowen using parish records. Anne Geraty (Garrity) was baptised in St. Mary’s Church, Rathowen on October 14 1836. 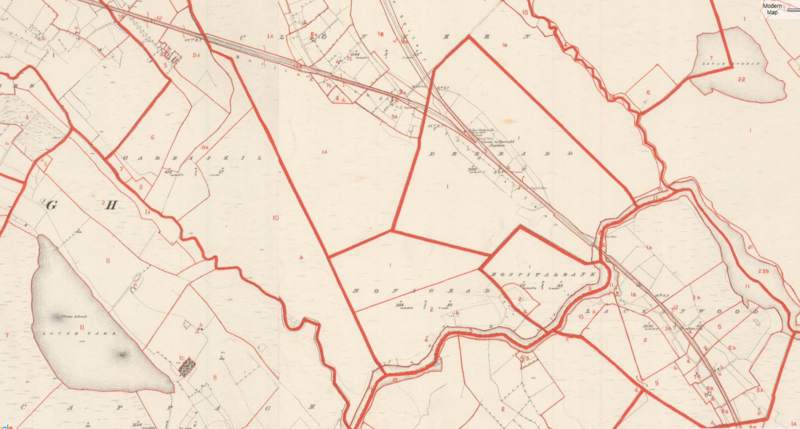 Her parents Peter and Anne (nee Kiernan), farmed a small holding in the townland of Loughanstown on the edge of Rathowen. However, the last of Anne’s family in Rathowen died in the early 1950s. Anne Geraty married John Fitzgibbons and settled in New Jersey. John tragically died in 1872 leaving her with six children. She subsequently remarried to Patrick Farrell and together the couple had twin daughters, Amelia and Jennie. The latter went on to marry John McNicholas and they had three daughters, one of whom was called Alice – Bruce Springsteen’s grandmother. Alice married a local New Jersey boy named Fred Springsteen, and in 1949 their son Douglas became father to one of the greatest music legends the world has ever known. Anne Geraty passed away on October 3 1923. 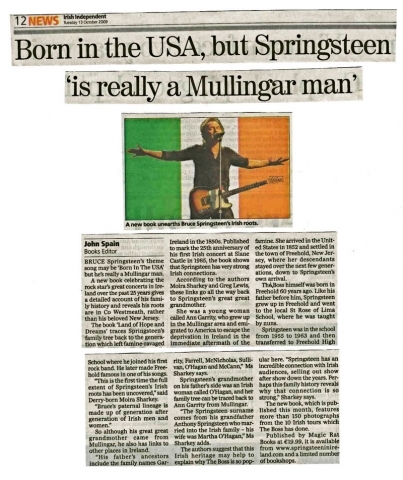 The Boss was invited to visit Rathowen in 2012 when he played a number of Irish sports stadia. The Rathowen Bruce Springsteen Committee was set up to try and entice the singer to his ancestral home. However, he did not make a public appearance in the Parish. The story of his roots, however, went global! 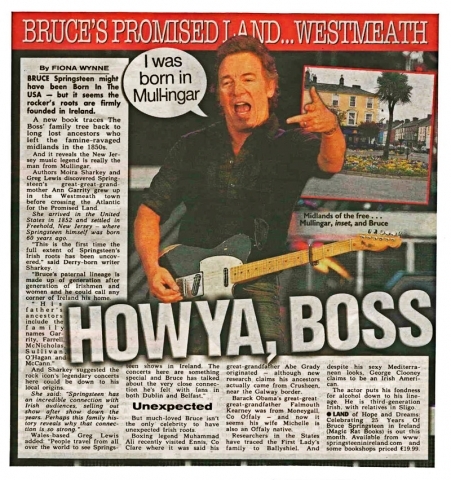 Hopefully one day, Bruce will return to Westmeath to embrace his inner bogman! In 1837, Streete was described as “an inconsiderable village” during the course of a survey by John O’Donovan for the Ordinance Survey. However, there is a lot to the little village named after the ancient Breacraigne (trout people) tribe – ‘Sraid Maighne Breacraigne.’ The Breacaigh were heavily defeated and subdued by the warriors of Cairbre-Gabhra in 751a.d. Traces of Mesolithic settlement have been found in the area, in bogland along the Inny and on the shorelines of Derravaragh, Lough Kinale. Christianity reached here in the 5th Century and local tradition holds that Saint Patrick himself crossed the River Inny and established a church in Streete – claimed to be the first church in the Diocese of Ardagh. 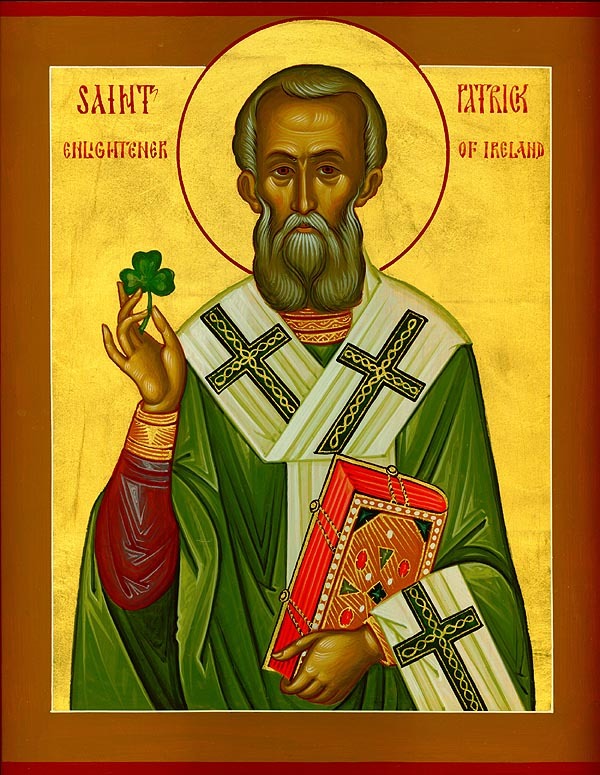 St Patrick – did he take in Garriskil on his way around Ireland? A number of high profile Bishops, and even a Saint (St. Fintan) are all said to be buried near to Garriskil Bog. St Fintan’s Well is at Kilfintan, and masses were celebrated there until 1770. When the coast was clear, they started again in 1905. St Fintan’s Well is said to have certain cures… Also nearly is Tobber Needle, or Well of Needle, which is said to be enchanted. In the 1800’s Daramona House in Streete became a site of enormous astronomical significance when William Wilson, one of the leading 19th century astronomers, build a refractor then a large observatory and laboratory. Among his many achievements he carried out the first accurate measurements of the suns temperature, the radiation from sun spots and the first electrical measurement of starlight. His work was carried on by his nephew Kenneth Edward. William Butler Yates stayed at Kildevin House in Streete many times. It is also said that Michael Collins visited the village a number of times whilst making his way to Granard to vist Kitty Kiernan. It is said he preferred to take a more ‘scenic route’ to Granard than getting off the train at Edgeworthstown. The Big Fella’s Longford connections are written about in this Longford Leader piece. Situated four fields south of the bog, and located just off the N4 after the village of Ballinalack is a standing stone set within a ringfort. 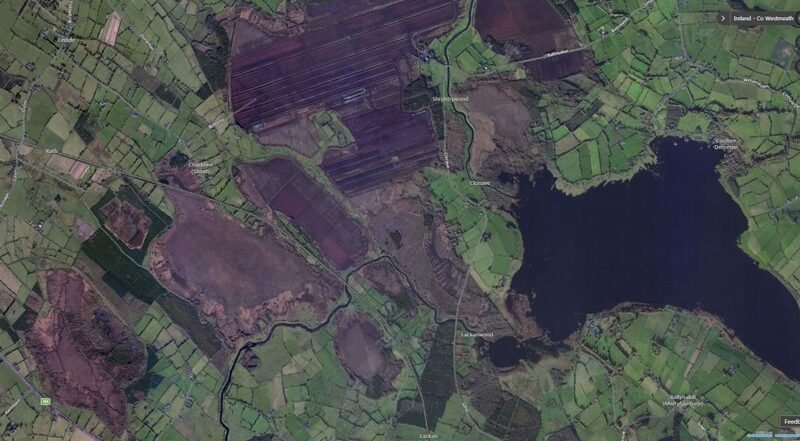 There is a neighbouring bog 250m to the west and a further ringfort 400m to NW. The tall slender limestone standing stone (approx. H 2.1m) is in the SW quadrant of ringfort (WM006-043—). Rectangular in plan and tapering towards the top with some spalling and splitting of the surface due to weathering. The stone has been reused as a scratching post. There is vague traces of two concentric slightly grooved or pecked circles on the east face, and socket stones visible at base. The entrance to the fort was believed to be on the east. There are remnants of a number of tree rings and other ring forts in the general area, suggesting this bank of the Inny heading towards Russagh and Barratogher was of great importance. As you head up the modern road from St Mary’s Church in Rathowen here is a castle on a former moated site close to the graveyard and another moated castle called ‘castlekid’ across the road from it. Both would have been fed by the River Riffey. Along the same water course, just before the railway crossing there is a 1612 water mill built on the site of a medieval mill.